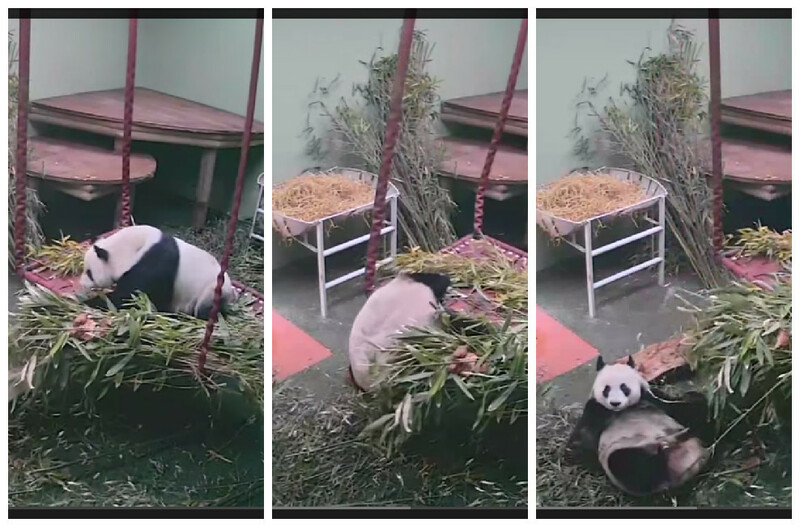 The female takes a headlong tumble off a hammock in her bamboo-strewn enclosure. The video shows her in hot pursuit of a log given to her by keepers, which she then rubs over her fur while lying belly-up on the ground. Sharon Hatton, carnivore keeper at the zoo, said: “Tian Tian is very playful and always has a great time playing with her enrichment.